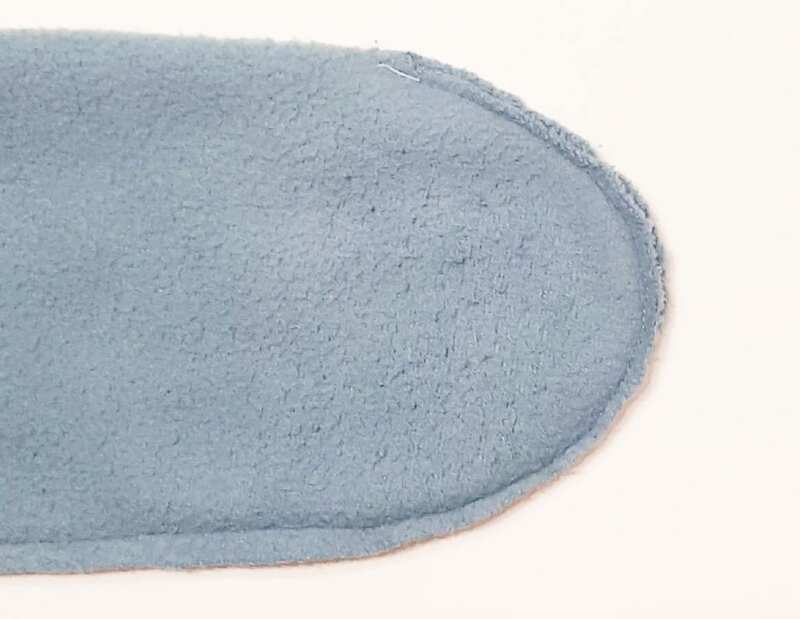 One of our fantastic Facebook group admins, Dee Jacob-Olsthoorn, made an adorable Stylin Snuggler using the snap hack, and modified the sleeves to cover her adorable baby boy’s hands. Here is a quick tutorial on how to make this modification yourself! 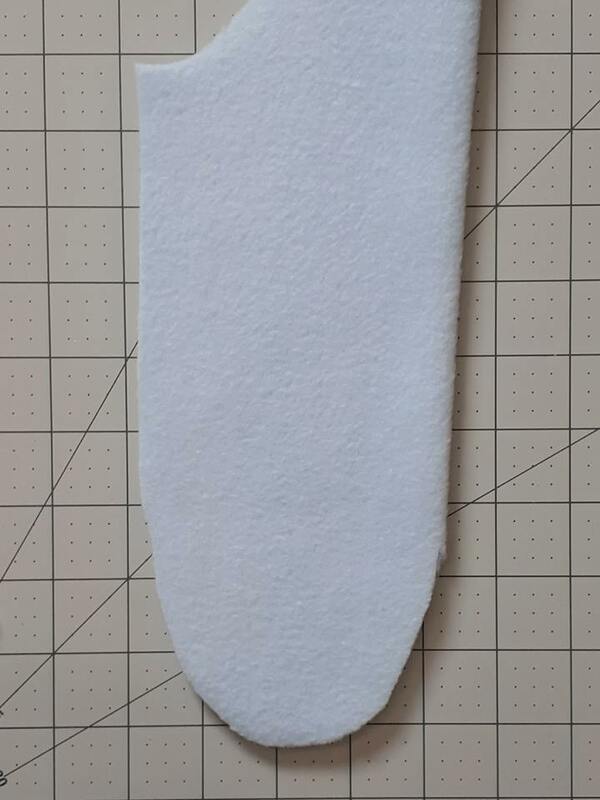 First, take the sleeve pattern piece, and extend the sides straight down to form a rectangle. 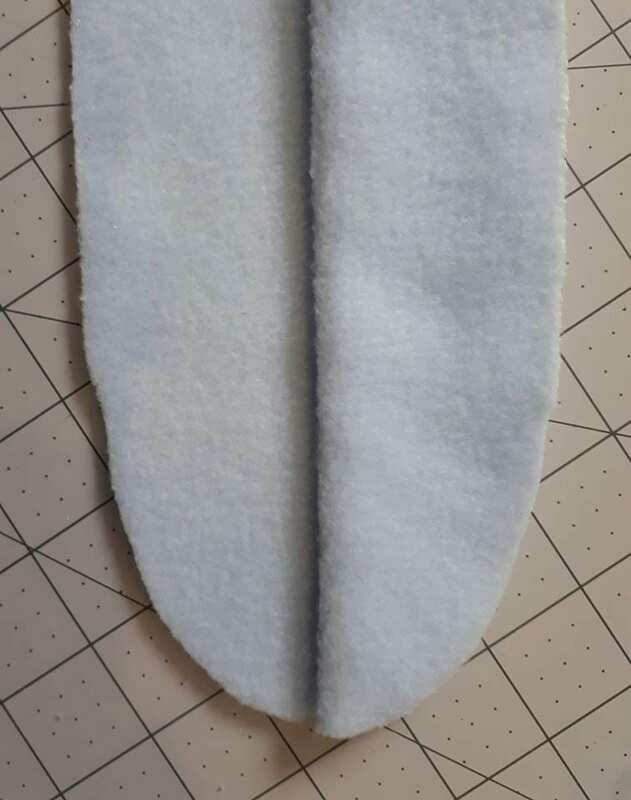 The added length should be approximately the length of the your baby’s hand (from wrist to tip of fingers), plus 2.5″ (6cm), which is what the cuff length would have been (when folded). 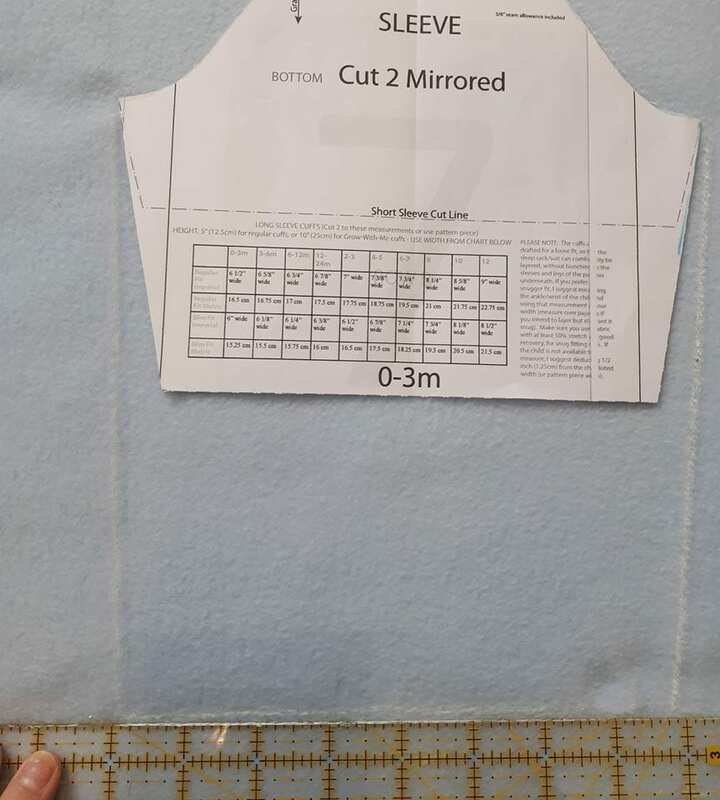 Cut 2 mirrored like this. 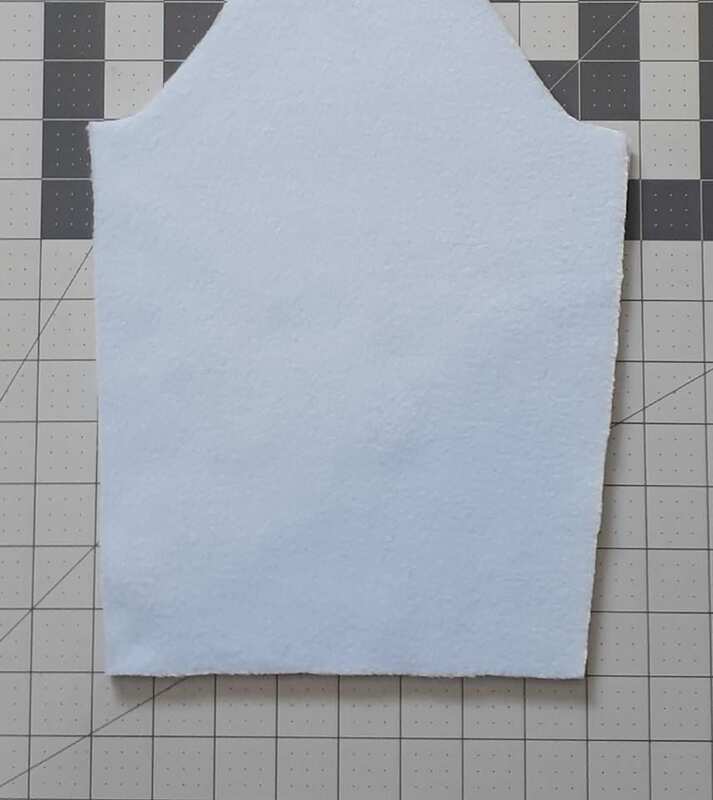 Next, take one of the sleeve pieces and fold it in half, lining it up at the bottom of the armscye. 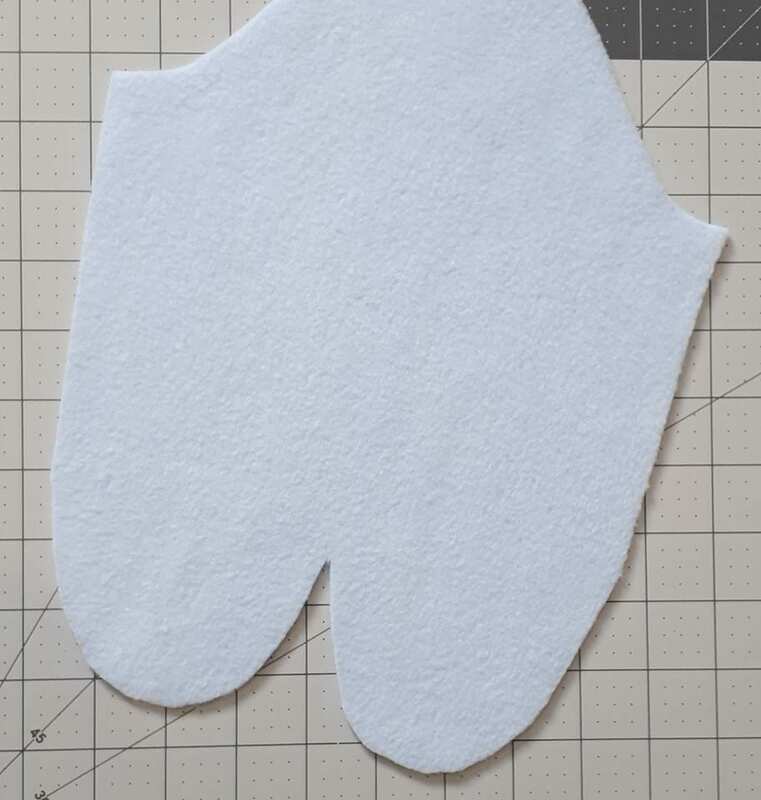 While still folded, cut the bottom to be rounded, as shown. 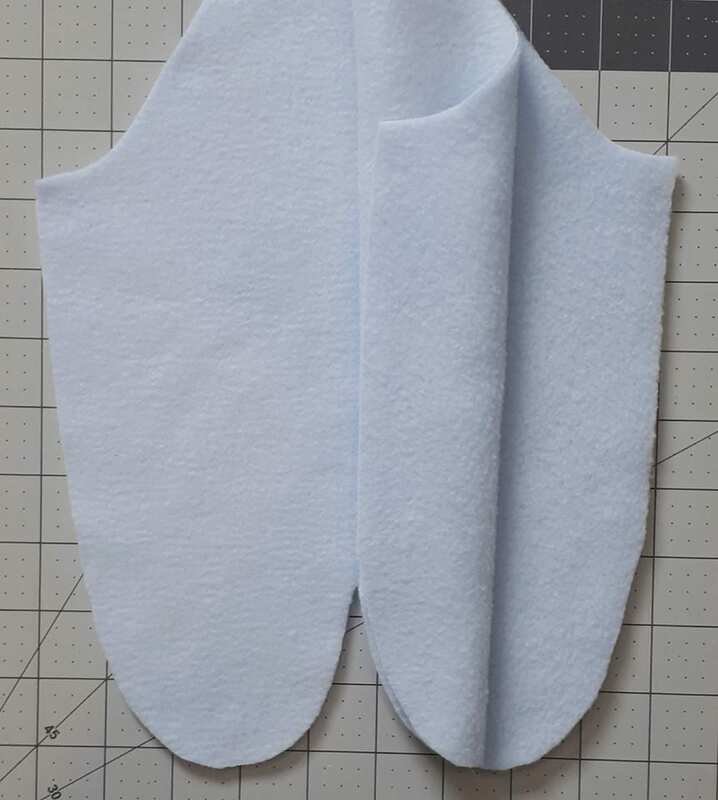 Unfold the sleeve, lay it on top of the other sleeve, and cut it to match.